In June 2017 we switched to a new credits-based billing system. In August 2017 we made changes to the credits-based billing, prompting an update to this blog article. For current pricing click here. The purpose of this article is to discuss why or why not existing customers may want to switch to this new system. But before we do this, let me clarify. No current customer has to make that switch. We appreciate your business, we value you as a customer, without you we wouldn’t be here. If you don’t see any value now or at any time in the future to switch to the new credits-based billing, you are welcome to stay with what you have. Monitor how much you pay under your current plan and compare that to what you would have paid under the credit plan. Under Tools-Credits you can see how many credits you would have used every month. If you are interested we will provide a proposal of how we can turn your pre-paid annual plan or recent (last 6 months) purchases of premium keys into credits. Billing Frequency Buy more credits when you need it. They are good for one year. Annual or monthly; many annual customers receive a monthly bill for overage, which at times can be a bit of a nuisance when amounts are just a few $$. Seasonality Credits are good for a year. Seasons of inactivity (i.e. no grading) do not incur any charges. You pay for a fixed number of students depending on your plan, regardless if you are grading any tests or not. 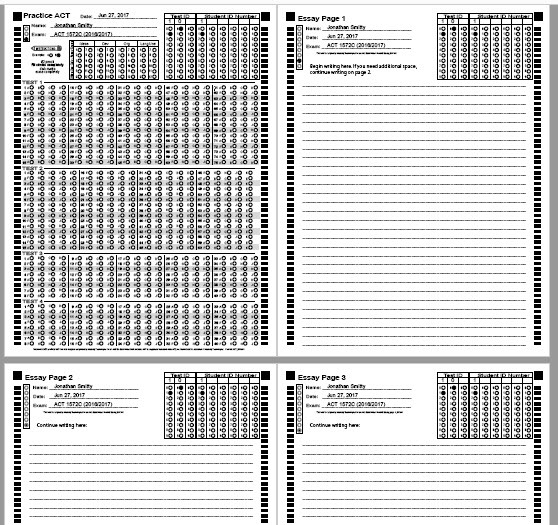 Diagnostic Test ‘Kit’ Print bubble sheets with ‘pre-registered’ student information (i.e. just a Student ID) and then add a name to that student ID after the student has taken the test. Not available. Student Self-Registration Let students register themselves on your web site. You can use this to offer a free* test to visitors to your site to turn them into a real lead. [*You are charged 1 credit for a test.] Not available. They system will change that status automatically. Unless you want to Archive/Lock student accounts, there is no need to spend time managing students’ account statuses. Need to manually deactivate students who are no longer using the system. Student Access to Student Panel No additional charge. 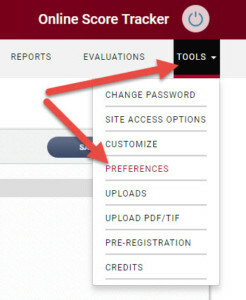 As long as you permit it, by not setting a student’s account status to Archived/Locked, a student can access their OnlineScoreTracker student portal. We like to think this presents an opportunity to stay in front of previous customers for potentially more business. You are billed for one student/month to give a student access to their student portal, whether or not the student actually logs in or not. 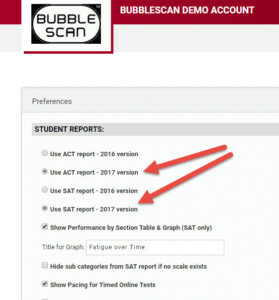 This summer, BubbleScan will be getting revamped. 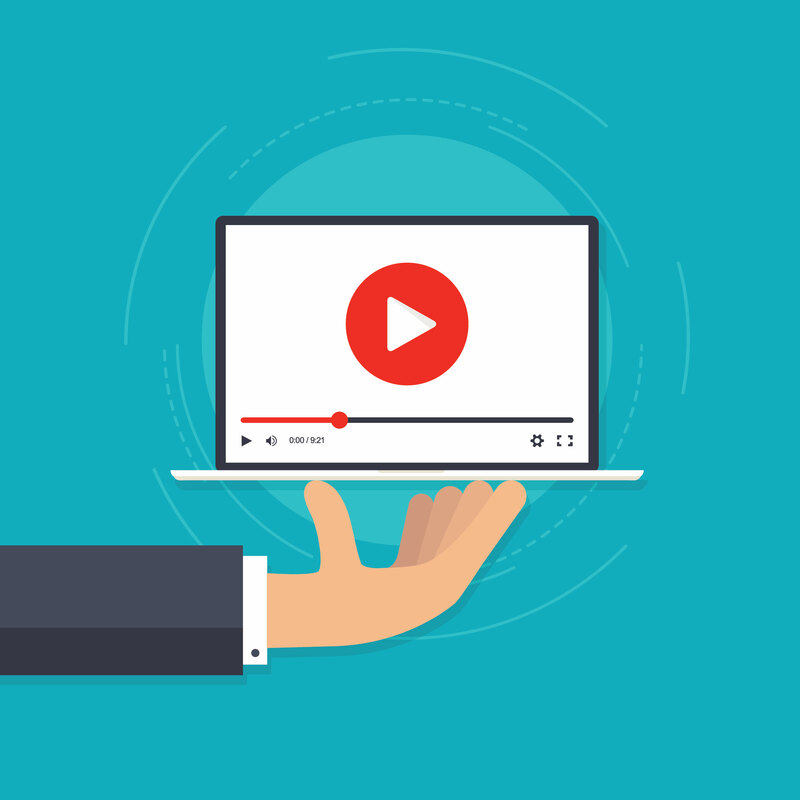 My name is Ammon, and I’ve been tasked to create tutorial videos that will help current and potential clients navigate our software with ease. Some of my most recent work can be seen with the newly updated BubbleScan.com, and I’ll have a hand in more designs in future products and updates. The main task of mine right now, though, is to create these tutorial videos. As of now, we have one video that attempts to explain everything at once. In the upcoming weeks, I’ll be creating smaller videos that deal with specific issues, for example: “How to upload tests,” etc. The purpose of this is to make it easier for clients to find a quick, to-the-point answer on a specific question they might have about using BubbleScan software. I am looking forward to providing this service that will offer more convenience to our wonderful customers. If you have any ideas, feel free to contact me. We now provide a credit-based billing system. 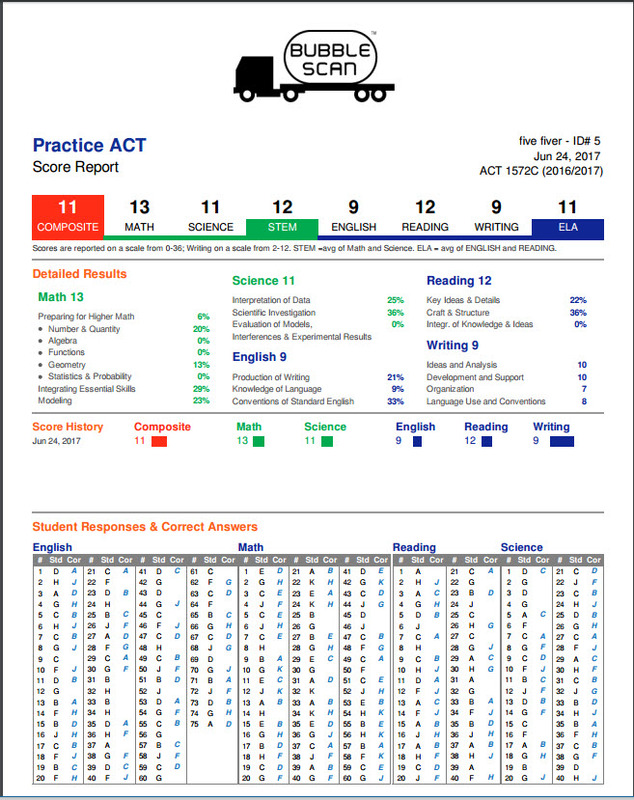 You purchase credit packs through your OnlineScoreTracker.com account. You can pay online via credit card or request that we send you an invoice. One (1) credit will give you unlimited grading for one student for one month. Oct 3: You create a student account. The student’s status is IDLE. No charge. Oct 5: You pre-print bubble sheets for that student. No charge. Oct 7: You process the scanned bubble sheets and OnlineScoreTracker creates a student report. The student’s account status changes from IDLE to ACTIVE. You can now grade an UNLIMITED number of tests for that student for one month (until Nov 6). You are charged 1 credit. Nov 7: The student’s status automatically reverts to IDLE. No charge. Any time after Nov 7: If you grade another test for the student after Nov 6, the student’s status will be ACTIVE again and you’ll be billed one (1) credit. Naturally, we couldn’t stop there. We do have a good number of customers who give diagnostic tests at schools in order to win new business. 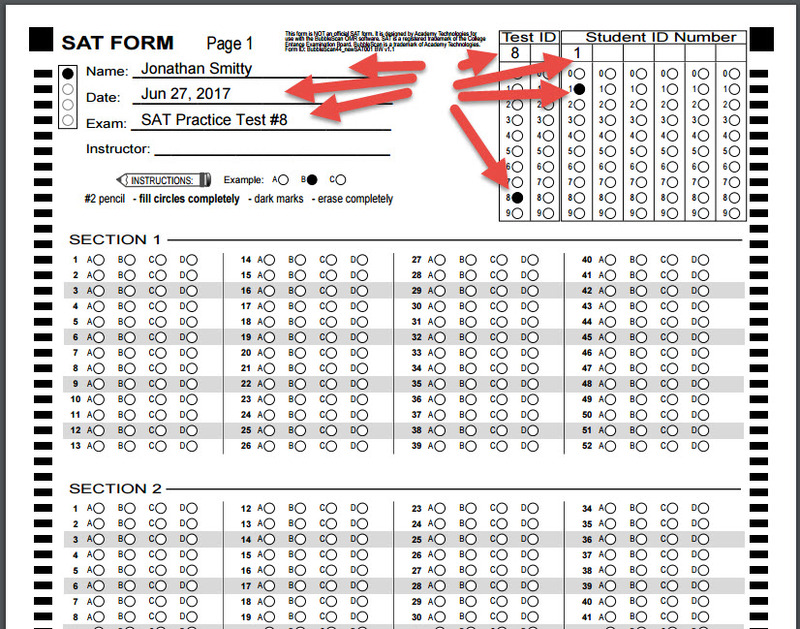 If you are one of those pro-active customers, we, of course, want you to grade those tests using our system. Charging you a full credit seems a little pricey for a one-off diagnosti test, so we came up with a way for you to grade tests for 0.5 credits/test. Tests grade that way will not affect a student’s status (i.e. it remains IDLE). And to make it even better, we are adding ‘discounted diagnostic tests’ for all who buy at least the 100 credit pack. E.g. when you purchase the 100 credit pack you get 200 discounted diagnostic tests for only 0.1 credit/test. This discount is automatically applied to the first 200 diagnostic tests you grade after purchase. After that the rate goes back to 0.5 credits/test. You can monitor your credit usage through Tools-Credits. The table on that page records every time a credit or partial credit is used with the student ID of the student that incurred the credit. 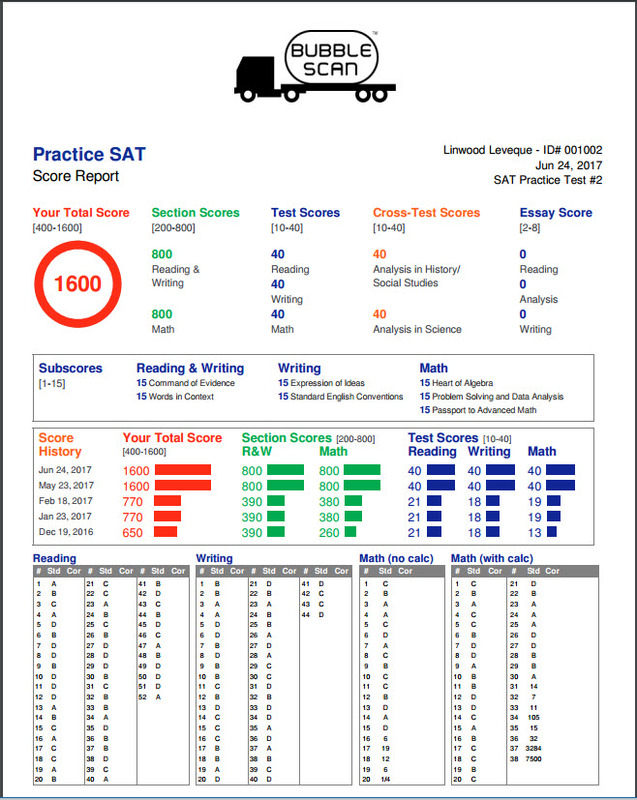 And for the very savvy user that of course presents an opportunity: What if your business is such that your students usually don’t take more than 1 or 2 tests/month? Yes, you can grade all your paper&pencil tests as diagnostic tests. You probably noticed – and were probably a little confused by the new status values in our STUDENTS list. We changed these values in preparation for our new billing system. What used to be INACTIVE is now ARCHIVED/LOCKED. As before, this is status that you set manually – either by selecting one or more students through the checkbox in the first column and then selecting the Action “Archive/Lock” from the top; or by editing a specific student (click on their student ID, then on the pencil icon). If a student profile is ARCHIVED/LOCKED that student can no longer log into their student portal and you can no longer grade a test for that student. That is exactly the same as was the case with INACTIVE. It really is just a name change. What used to be ACTIVE is now either ACTIVE or IDLE. ACTIVE means a test was graded for that student within the last month. IDLE means a test was not graded for that student in the last month. With the new billing system you are charged one ‘credit’ for an ACTIVE student. You can grade an unlimited number of tests for an ACTIVE student without incurring additional charges. If you are a customer who hasn’t upgraded to the new credit system (and we will honor our previous agreement, you are welcome to stay at your current plan for the next 2 years for sure) then you will still be billed for ACTIVE or IDLE (or in other words all students who are not ARCHIVED/LOCKED). One of the main reasons for the new billing system is that we have a lot of customers who find it difficult to manage their students’ status (i.e. they forget to deactivate student accounts) or they want to keep the student accounts open so their students can still access their student portal and view their scores. Under the old system this mean you paid for each month that you didn’t deactivate a student account. With the new ‘credit’ system, you no longer have to manage students’ status. A student’s status goes to IDLE (=not billed) automatically one month after they went ACTIVE (due to a test being graded for them). We would like all of our current customers to upgrade to the new ‘credit’ based billing system. Although you pay more for each credit we believe you will find that you end up saving, and not just in the long run, but immediately. A separate blog article will explain this in more detail. By Joerg Weser|2017-06-27T09:22:55-06:00June 27th, 2017|BubbleScan|Comments Off on What happened to INACTIVE? ‘Diagnostic Test’ – What is it and how does it work? Use it for your day-to-day business if your students aren’t taking more than one (1) test per month. I will explain the second use in this article. A description of the using ‘diagnostic test’ grading as a promotional tool will be covered in a separate article next week. 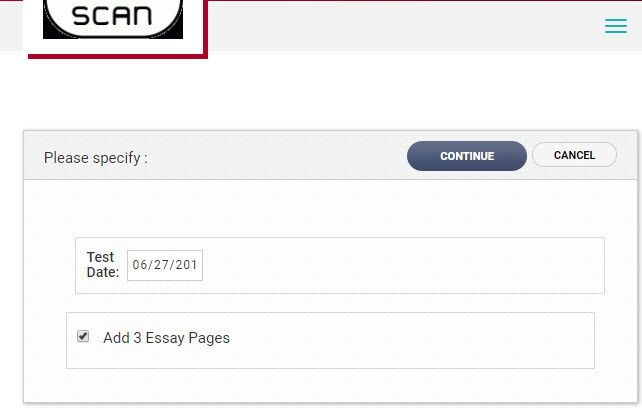 If you grade tests using our system you will pay 1 credit for one month of unlimited test grading for a student. It’s a really good deal. But what if your student only takes one (1) test every 6 weeks or so? If you process their test as a ‘Diagnostic Test’ then you’ll only pay 0.5 credit for that test. And if you purchased at least 100 credits and received the 200 discounted diagnostic tests, you’ll only pay 0.1 credits. That is quite a saving! Grading a ‘diagnostic test’ for a student who is already in your system is really no different than grading a test the ‘regular’ way. The one difference is the starting point. For regular tests (1 credit = unlimited testing for one month) you can click on ‘Upload PDFs/TIFs of Scanned Answer Sheets’ from either the home page or from the TESTS page. To grade a ‘Diagnostic Test’, click on ‘Setup a Promotional Diagnostic Test’ on the TESTS page. Then click on ‘Grade Diagnostic Tests’. From that point on the process is exactly the same as when grading a ‘regular’ test. ‘Diagnostic Test’ grading is only available to customers using one of CREDIT plans. Discounted diagnostic test credits do not ‘roll over’. They are tied to credits purchased with the ‘Credit Pack’, i.e. when you have used up the credits purchased with the Credit Pack, any unused discounted diagnostic test credits received with that purchase will expire.